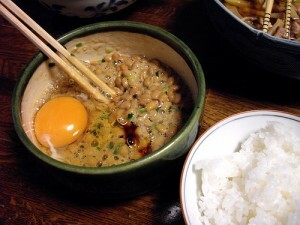 Do you know a Japanese food called [W:natto]? 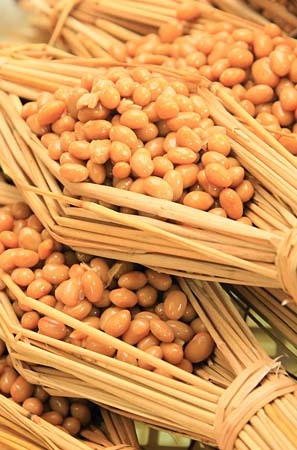 Natto is made from fermented soybeans. 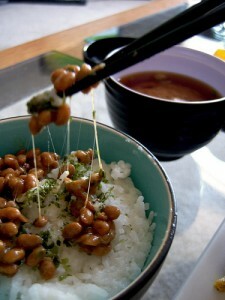 We usually eat natto on steamed rice, and because its stickiness and smell, some people dislike natto even in Japan. 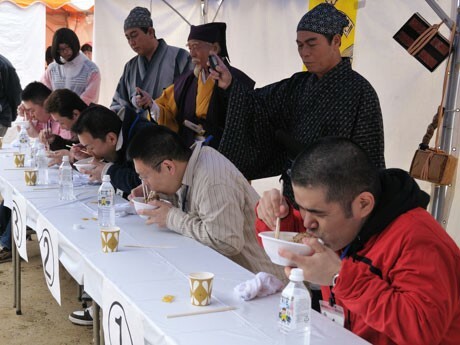 On March 6, “World Natto Eating Contest” was held in Mito City, [W:Ibaraki Prefecture], where it’s famous for natto. I didn’t know about this contest but it’s actually the tenth time this year. 78 people including people from west Japan such as Kyoto and Nara and foreigners from Thai, Malaysia, China, Canada, Ethiopia and Australia competed at the contest. And the winner was a Japanese office worker. At the final, they competed in the time to finish eating five straw wrapped natto. 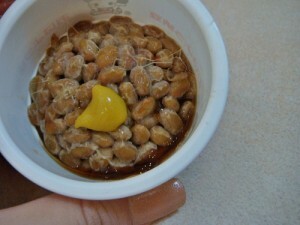 Because the rule doesn’t allow the competitors to leave any single natto bean, they were struggling hard with the sticky and slippery food. Although there were experienced food fighters in the final, a normal office worker finished eating first and beat the veterans. The winner got luxurious prizes including 30 kg of rice.